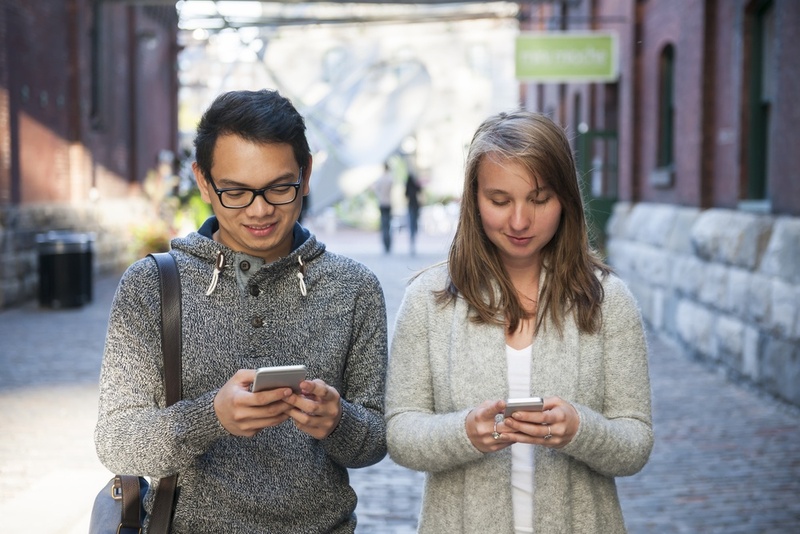 What Do Millennials Mean to the Real Estate Industry? Part One. Post-recession ways of life have led to substantial social and economic changes in America, and we’ve all basically become accustomed to taking such changes in stride. However, our country is a mechanism of production and we are constantly on the cusp of new societal evolutions and generational development, even now. There is perhaps no better example of growth and development than the Millennial generation; a quickly rising generations of Americans who are destined to reshape the culture of professional institutions, while fundamentally shifting our ways of life. What’s the big deal about Millennials? If you didn’t know, “Millennial” is a term to refer to those born between 1980 and 2000. The massive population of this age group secured Millennials as one the largest generations in history, and there were 75.4 million American Millennials in 2016. This generation came of age during a period of rapid technological change, and they are naturally accustomed to a tech-savvy lifestyle that promotes online social connection and digitized automation. The shift toward smart technology, cutting-edge priorities, and an unconstrained way of life has been considered frivolous by older generations, and many dismiss the iniquity of Millennials’ pursuit of the American dream. Optimism and altruism lend individuality to Millennials, and it is their endeavors that remain poignant. In fact, many economic analysts predict this generation will be the driving force behind full recovery and prosperity of the housing market. Millennial-life and what it means to the real estate investors. It seems that Millennials are everywhere. But, when it comes to homeownership, they have only recently emerged in the market. America’s economic situation was unfortunately not favorable of this generation, and high unemployment along with student loan debts created challenging circumstances, and many must result in declaring defeat before they could even begin. Likewise, many Millennials were still living with their parents at the beginning of the Great Recession and witnessed the housing bust before they even owned their first property. The first-hand witness of their parents’ struggle led Millennials to approach homeownership with caution. Even after moving out of their parents’ houses and establishing an independent living situation, most Millennials preferred to rent a home instead of buying one. America’s post-recession recovery continues to gather steam, and the nation’s forward-looking market along with strong employment opportunities have increased the average household income. Yes, there was a delayed beginning for Millennials. But now, finally, they too are following the traditional path from rental to ownership. Millennials are often incorrectly thought to have no interest in buying a home, but the truth is actually the opposite. Myths tend to convey Millennials as the generation of long-term renters; as crippled by student loan debt, and with no desire to move out of their parents’ home. This is a misconception. Fannie Mae, the national housing finance giant, conducted a survey of Millennials regarding personal goals. The majority of participants viewed homeownership as more sensible than rentals in regard to control, flexibility in future decisions, privacy, and security. 49 percent of participants said their next move would be to own a home, and expected to do so within two years. Additional data reflects 65 percent of Millennials who rent property are doing so out of necessity due to financial hardship or strict savings-plans. How do you to sell your investment property to Millennials? Millennials are destined to have a significant influence on the housing market for the next ten years, simply because of demographics alone. By 2036, this population is projected to reach a staggering 81.1 million. As more Millennials enter their prime spending years, the impact made on the housing market will be palpable. As Millennials flourish, real estate investors who take to their trade will benefit. When you understand the state-of-the-art upgrades, and savvy smart-home features Millennials want in their homes, you’ll tap into a whole new buyer market. Staying ahead of the trend will help you sell your property faster, and you could earn a more profitable return on your investment. In part two of this blog, we’ll cover property rehab updates that are Millennial must-haves. While you’re waiting, subscribe to our investor blog to keep up with the latest tips, tricks, and advice for investors of all levels! What kind of local discounted investment properties will you find? Our blog is written for investors, we hope to help you to stay ahead in the game. With a New Western property investment, you can also get a head-start on a high profit. All of New Western’s investment properties are off-market and unavailable to the public, but you can have exclusive access! We carefully pre-screen all of our investment properties to guarantee you’ll earn a significant ROI so that you can pursue your property investment with confidence. Since these properties aren’t listed on MLS, you can say good-riddance to stressful bidding wars and making rushed last-minute decisions. We are working nonstop to expand into new markets across the country. We might have new off-market investment properties in your area. Find out with a personalized property list!